3. Not Making a Staff Member Available between Christmas and the New Year. A number of years ago, my wife and I wanted to make a last minute stock gift to a charity. Unfortunately, the organization’s website did not display the necessary instructions. When we tried calling the organization, we were only able to leave a voice-mail message. No one got back to us in a timely manner. Out gift went elsewhere. As the year draws to a close, someone must remain available to answer questions that prospective donors might have. Consider this: 12 percent of all electronic giving occurs in the last three days of the year, according to the Network for Good! Be there when your donors need you. 4. Not Making Your Appeals Readable. As I was preparing this list of mistakes, my wife told me about a direct-mail appeal she received from The Natural Lands Trust. The font size was so small that my wife couldn’t read the letter without serious eye strain, even with her reading glasses. So, she didn’t. The piece promptly found itself resting in our recycling bin. If you want people to read your material, make it readable. That means, use an appropriate size font, use a serif font in print, use a sans-serif font in electronic messaging, and never use reverse type. For more information about the readability of appeals, click here. 5. Over-Focusing on Year-End Giving. Nearly one-third of all electronic giving happens in December, according to Network for Good. Many charities raise massive sums of money between #GivingTuesday and the close of the calendar year. That’s all due in part to the spirit of giving during the holiday season and the fact that most nonprofits aggressively campaign for year-end donations. However, following the herd isn’t necessarily smart. Unfortunately, the herd mentality regarding year-end appeals, and the holidays themselves, mean your organization has stiff competition for limited dollars. Your prospective donors are being bombarded with fundraising appeals at a time when they’re also spending money on holiday gifts for loved ones, for travel, and for entertainment. Most donors contribute based on available disposable income in a given month. A prospective donor might want to support your organization, but the year-end timing simply might not be right. However, each month, the reservoir of disposable income is replenished. At the beginning of the year, you have an opportunity to tap into that reservoir with less competition. When people give, they donate what they can afford at that moment. Making an appeal when they have greater means to give makes a great deal of sense. By the way, this is one reason why monthly-giving programs are a great idea. So, in addition to a year-end appeal, you might want to also test a beginning-of-the-year appeal. You can read more about this idea by clicking here. When I told a friend the topic for this week’s blog post, she offered up what she feels is the biggest year-end fundraising mistake some charities make: “Not asking!” There are many mistakes that nonprofits make at year-end. I’ve touched on some, but there are many more. Fortunately, with some minor low or no-cost adjustments, you’ll be able to attract more supporters and raise more money than you otherwise would. Now, I’d like to hear from you. What are some of the year-end mistakes you’ve encountered? Or, what are some of the year-end fundraising tactics that are working particularly well for you? I agree with your friend that the number one mistake is “not asking”! It’s hard to believe, but every day small (and even some larger) organizations think it is wise to not ask- as if magically the money will appear at a later date and that donors will appreciate the nonprofit for not asking this year. Also, nonprofits need to pound the message to give appreciated stock. I have found time and time again that what we think is common knowledge as fundraisers (that one can both receive a tax deduction and avoid capital gains tax), is actually either not known or forgotten by donors. Especially this year- of all years- is it beneficial to give appreciated stock, and considering the consequences of tax reform, even more so this year because the majority of taxpayers (and dare I say donors) will not be itemizing in 2018 if tax reform is passed in its current form. Jon, thank you for taking the time to make a number of good points. One of those points reminded me of a conversation I had years ago with a small nonprofit organization. The Capital Campaign Chair said, “I don’t understand why we need to go out and actually ask people to give. All we should have to do is tell them in our newsletter why we have a capital campaign. It’s not for anything frivolous. We need a new roof and a new heater to keep the doors open. We should just be able to tell people that, and they should just give.” I told him that he was absolutely correct. All the organization should have to do is make the solid case for support and then watch the donations flow in. I continued, “However, since life doesn’t work that way, you actually need to ask people to give if you want them to give. Wishing for support won’t get the job done.” Fortunately, he begrudgingly followed by advice, and the organization eventually reached its campaign goal. The point you made about stock gifts is something I continue to find amazing. There was a time when I assumed that wealthy prospective donors who held stock knew the benefits of donating appreciated securities. They’re financially sophisticated, right? Furthermore, I figured if they themselves didn’t know, they’d have advisors who knew and would counsel them accordingly. Ha! It didn’t take long for me to realize that was a foolish assumption. It’s always a good idea to remind folks of the benefits of contributing appreciated stock. If the prospect already knows, they’ll still appreciate that you’re looking out for them. If they don’t know, they’ll be grateful to learn about another great way to give, and they might give more than they otherwise would. I’m glad you are back to writing your blog. Believe me, you have been missed. As for year end mistakes, it’s those organizations that don’t verify the simple things, like the spelling of a donor’s name (first and/or last) or address. My parents, who I’ve written about in my own blog many times in the past, have gotten dozens of mailings with those lovely but useless address labels that they can’t use because the address is incorrect or the names are misspelled. A simple call from a development or other staff member earlier in the year can make those corrections well ahead of the year end mailings, but they don’t, and they end up losing the longtime support of their donors (my parents). My friend, I wish you the happiest of the holidays. Richard, thank you for your comment and good wishes. 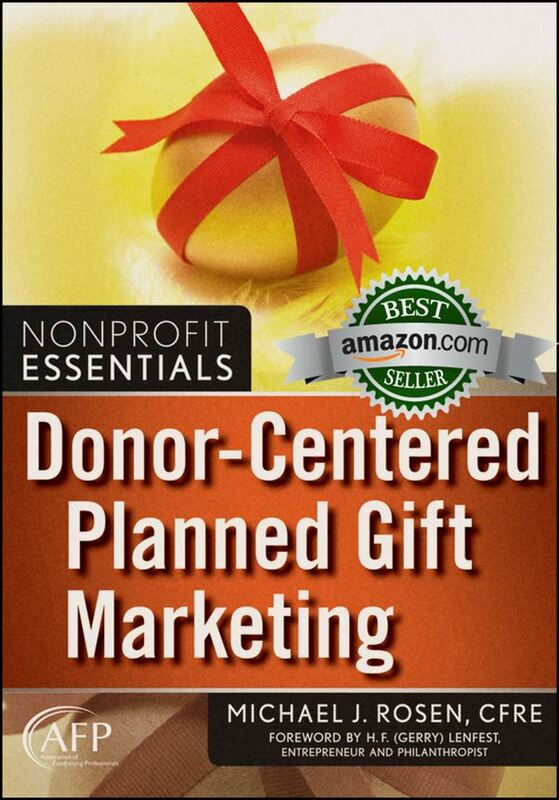 I find it interesting that so many charities endlessly search for the latest, greatest fundraising tactics while failing to master the fundamentals. Nonprofits would be able to raise significantly more money just by handling the simple things well. Thanks for reminding folks of that. I wish you and yours the best this holiday season. Great tips, Michael. If I had to pick the one thing too many nonprofits overlook at this time of year it would be #3, closely followed by #2. But they’re ALL big “no-no’s.” And, of course, not asking at all is the biggest sin. If you have donors who usually give who’ve not given within the past 12 months, do whatever you can to reach them — call, text, email, mail — remind them how much their previous support meant, and how very grateful you are! Claire, thank you for taking the time to stop by and comment. I particularly liked your point regarding past donors and the need to reach-out to them using any number of methods. 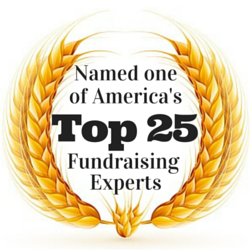 As fundraisers, we have many different tools at our finger tips. The good news, as I know you know, is that we don’t need to wring our hands trying to figure out which one we should use. The commercial sector uses “multi-channel marketing” to reach customers. Fundraisers should do the same. Using multiple methods to contact donors and prospects will ensure that one captures their attention, which can be particularly challenging this time of year.